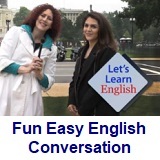 ﻿ Fun Easy English - new american english standard conversation for intermediate introduction. 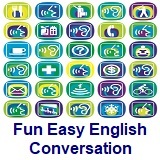 The 36 situation based conversations aim to present spoken American English in a relatively natural way. 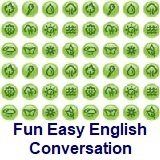 Each conversation is accompanied by language notes that provide useful information. 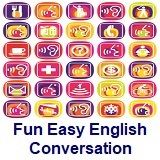 Designed for students of English as a Foreign (EFL) or Second (ESL) Language. Lesson 12 - What’s for Dinner?